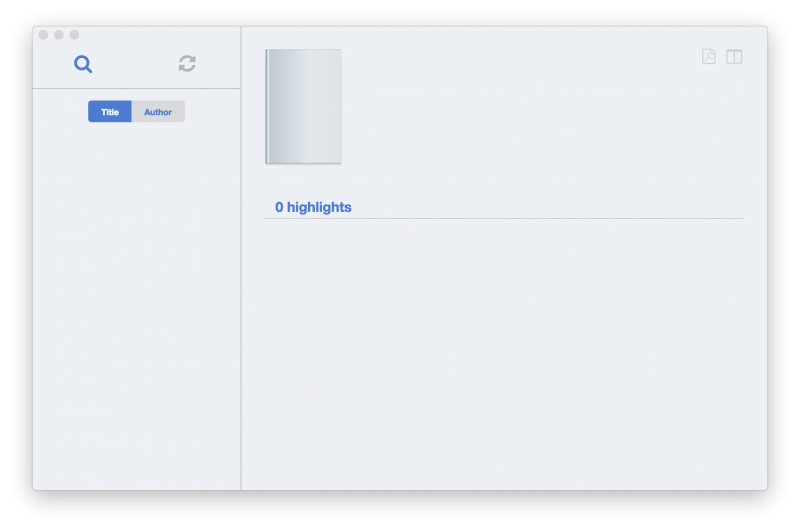 In this blog, I’ve introduced several tools to help you organize and export reading notes and highlights, like Clippings.io, Kindle Beautiful. Days ago another tool showed up on my desk, it’s a Mac app, according to the developer, the Windows version will be released soon. Luckily, I got a registration code from the developer to let me use this app thoroughly, I tried it for a while, and this post is sort of a review of this app. 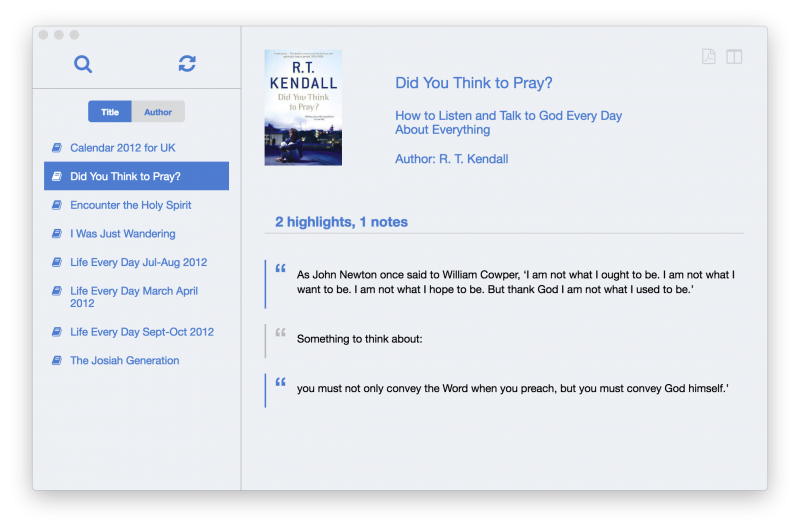 Amazon has announced a whole new cloud-base Kindle highlights and notes reading service. You can visit the service here. You can use either computer or mobile phone to visit this service page, it will adjust the layout to suit your screen size. It’s a trial-to-pay app, you can try it for free in the first 7 days without any function limitation. The price is $4.99, I think it’s fair enough. At the moment it’s only available on Mac. Windows version is under developing. 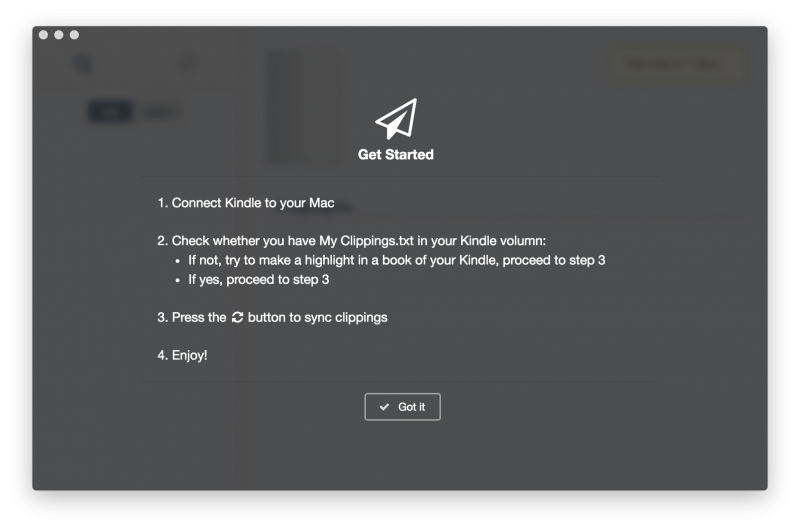 Automatically find your Kindle clippings once you connect Kindle to computer with USB. Group highlights and notes with Book name and Author. Search with book name, author, or any word in clipping. And it’s fast. 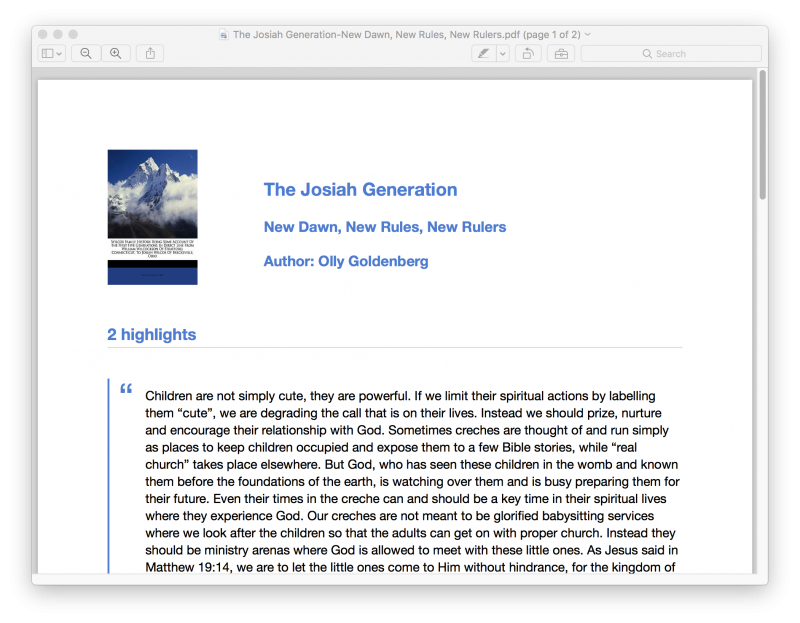 Export a book’s clippings to PDF with beautiful layout. Currently it’s still an early version, you can suggest features to the developer. In other words, more features are on the way. Firstly download the app from the official site. You can install it with easy drat and drop. Open the app, you will see a user guide on the launch screen. Click “Get it” you will enter the main interface. Connect Kindle to computer and click the fresh icon in the left upper corner. 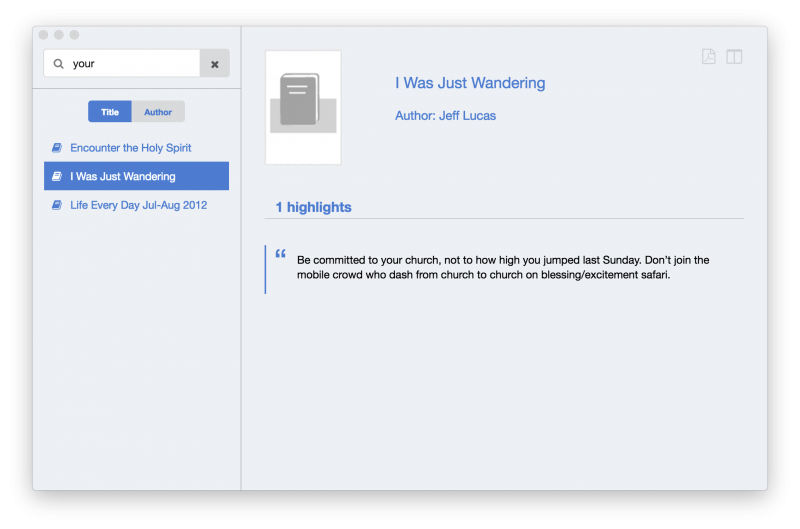 Then this app will look for “my clippings.txt” in your Kindle and display all your highlights and notes in this app. Personally speaking, I like the interface design, very clean and all key elements are standing out. In the left column is how the clippings are organized. You can change the organization rule by book name or author. The right panel displays the book’s cover, and the clippings are displayed one by one. Highlights and notes are distinguished by the prefix color. Click the magnifying glass icon in the upper left corner, you can activate the search bar. Just input any word you can come up with, this app will search it in books names, author names and all clipping contents. 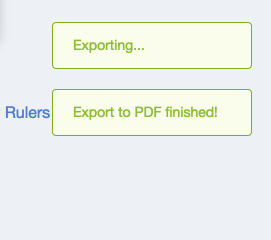 You can also export any book’s clippings to PDF file. In my practical usage, it seems that I can only export all clipping of single book one by one. Can’t export all clippings of all books, or export single line of clippings of a book. To export clippings to PDF, choose the correct book, and click the “magnifying glass on a paper” icon which locates in the upper right corner. There are two icons in the upper right corner, the left one is exporting, the right one is the toggle of book/author name column. The exported PDF looks beautiful, I’m very glad to print it out. If you have any suggestion or questions about this app, feel free to leave a comment, I will deliver to the developer.